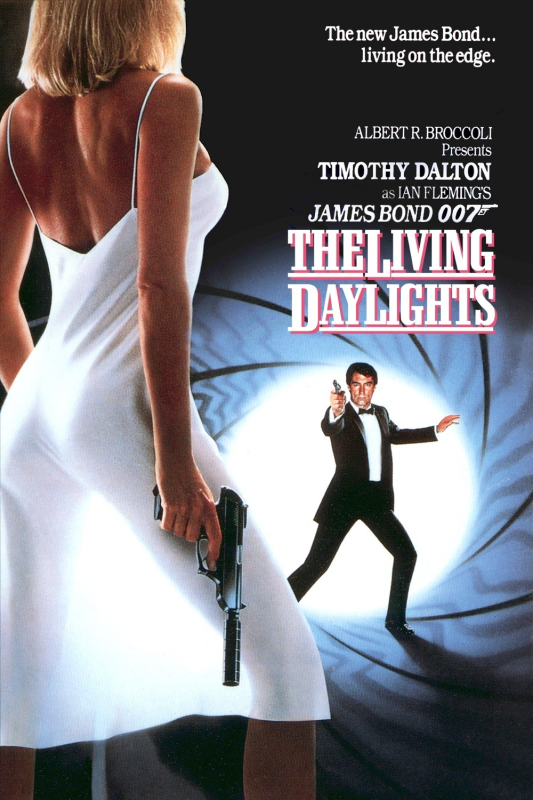 THE LIVING DAYLIGHTS —-gave JB a new face, with Timothy Dalton’s rather wolfish look replacing a tired Roger Moore. He also doesn’t have much of a sense of humor (at least in the films, maybe he’s a swell guy in person) and the plot meanders with Bond continent-skipping to track down an arms dealer, ending up in Afghanistan, at that time fighting off the Soviets. The arms dealer is played by Joe Don Baker, and it doesn’t sell. Maryam d’Abo is cute but bland as the Bond girl. Goes on too long at 131 minutes, again directed by John Glen. Locations include Morocco, Gibraltar and Austria. Excellent action sequence at the end, with insane stuntwork battling in the open maw of a C-130 Hercules cargo plane, and dangling outside it. Otherwise it’s forgettable. $191,000,000 enriched the producers. On hand for the bad jokes, ski chase, explosions and general mayhem: John Rhys Davies, Jeroen Krabbe, Art Malik, Desmond Llewelyn, Geoffrey Keen, Walter Gotell. I liked Dalton in this 007 outing, but not the next one.